There is always some hot book out that I never manage to get around to reading. For awhile, it was Christina Baker Kline's Orphan Train, which was a bestseller for several years. I had seen it around but mentally put it in the pile of books I didn't have time to read. Until I saw the young readers' edition and realized I could do two things at once--become a late follower to a literary trend and read a book that I could possibly recommend to my middle school students. Win win. And recommend it, I will. 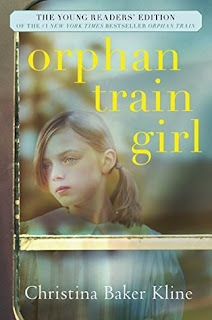 I flew through Orphan Train Girl. It alternates between the story of Molly-- an orphan who has to help an elderly woman, Vivian, as part of community service for stealing a book-- and Niamh, an Irish immigrant in the 1920s who is sent across the US on a train, hoping for adoption. I knew from the start that Vivian and Niamh were the same person, so I wonder when young readers will figure it out. Even if they figure it out immediately, they will enjoy the story and be rooting for things to work out for both girls. I love that this is a light introduction to historical fiction. Orphan trains did exist and there is information at the back of the book, but kids who aren't fans of history will enjoy the plot, as well. It could spark an interest in readers and lead them to check out more weighty historical fiction. I love a good gateway book. Even though we are on summer vacation, I'm texting a few parents that have children who would love this book. I can't wait until the fall to share it. 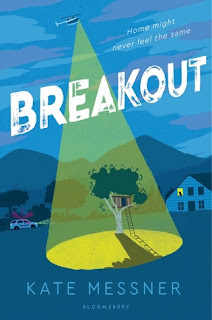 Check out Kate Messner's Breakout on GoodReads and you will see a wall of 5 star reviews. 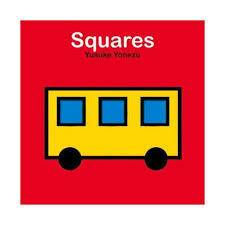 Everyone loved this book. Nora lived a normal life until two inmates escape from the prison near her house and her summer is flipped upside down. Suddenly, she can't feel safe anywhere and she notices an ugly side to the people in her town. For extra credit, Nora compiles extensive notes (and I mean EXTENSIVE) on everything that happens in the summer, as part of a time capsule. There are some good nuggets in Breakout and there need to be more books that address racism, but at 448 pages, there is a lot of unnecessary filler in this novel that makes it hard to sift through. I don't know many readers in the target audience who would slog through 200 pages while waiting for the plot to start. Even Messner admits it on p. 188, saying, "If I put everything, you'll be really sick of me by now." Yup. I won't be recommending this book, nor will I add it to my library. 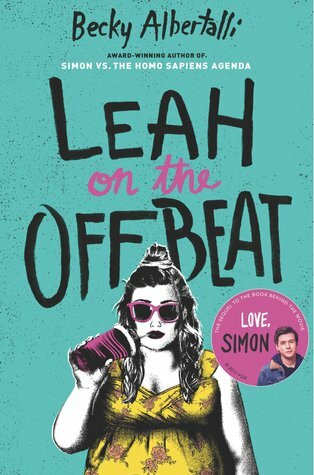 I'm pressed for time, but I want to record my thoughts on Leah on the Offbeat so I can refer back to it. The solution? 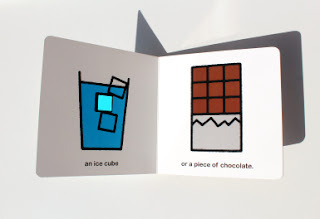 A book review in GIF format. I recently wrote about using GIFs in the classroom for MiddleWeb, so I'm trying to practice what I preach. Is it appropriate for my sixth graders? This was way too much fun. I'll be reviewing via GIF again!